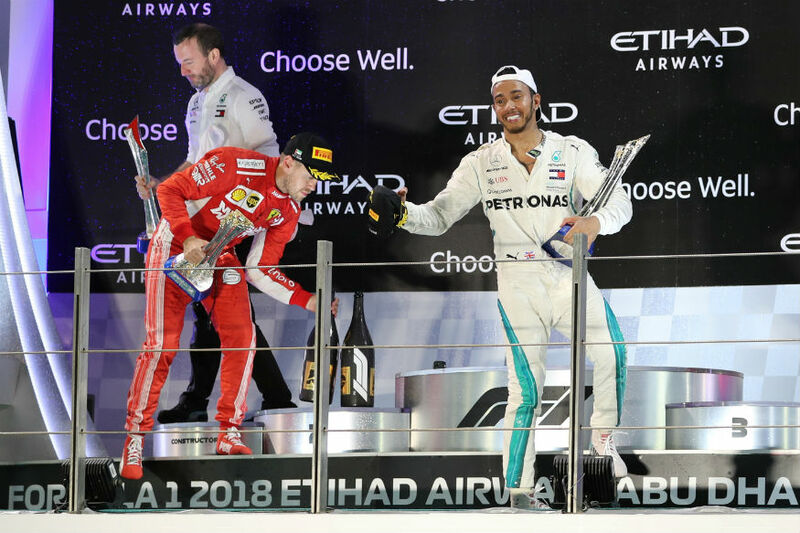 Lewis Hamilton signed off the 2018 season with his 11th victory of the campaign at the Yas Marina circuit in Abu Dhabi on Sunday. Hamilton won his 5th driver's championship while his closest rival Sebatian Vettel finished with 320 points in the 21-race season. The relationship between the two top drivers, once close friends, turned sour when Vettel was accused of deliberately ramming into Hamilton in Azerbaijan last year. Hamilton and Vettel swapped helmets as a mark of respect after the season-ending Abu Dhabi Grand Prix. The duo was all smiles, shook hands and thanked each other before swapping their helmets. "This is kind of an honorary thing that drivers do. This is the highest kind of regard of respect that we can have as drivers, this is like our jerseys," Hamilton said in a video posted by Mercedes on their social media platforms.